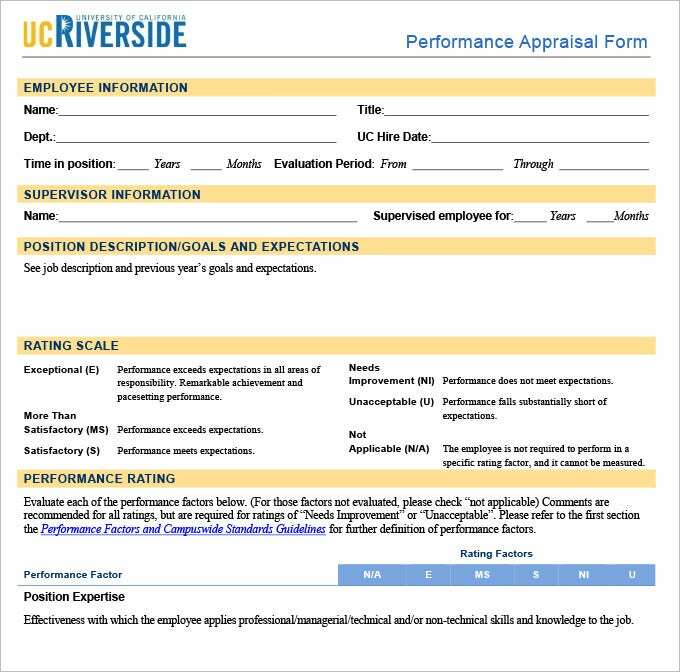 Appraisal forms can be used by the HR department to examine how much each employee contributes to the company during a certain period of observation. 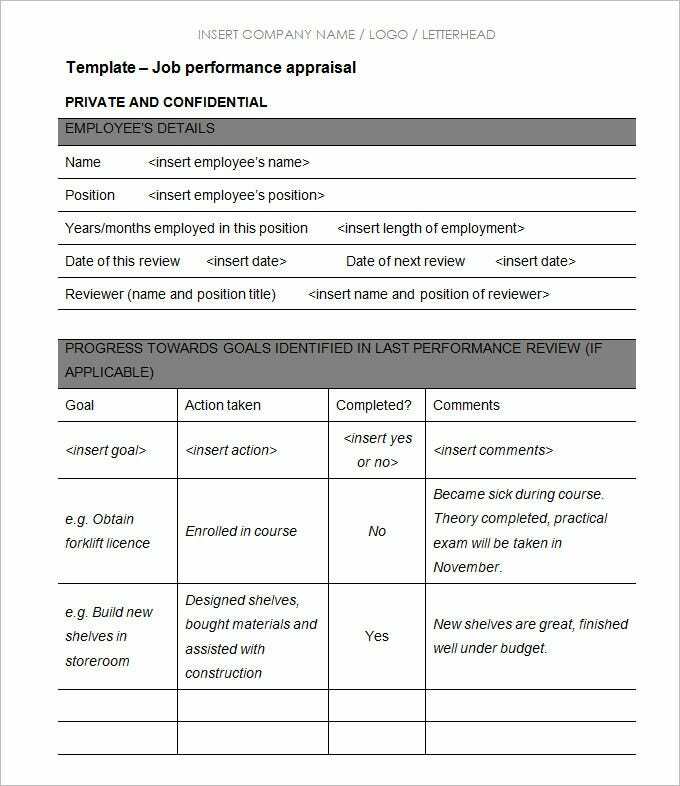 This helps HR managers in ensuring that a certain standard is met with regard to company output by ensuring this minimum level of contribution is achieved, similar in a manner, to HR Evaluation Forms. 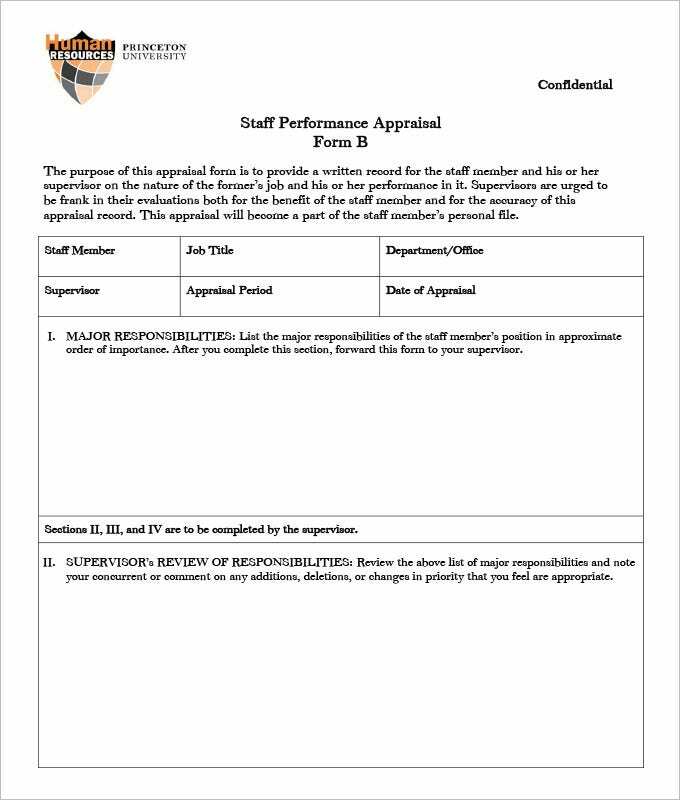 The templates are created precisely for this purpose with their structure enabling a department to find out an employee’s work output. 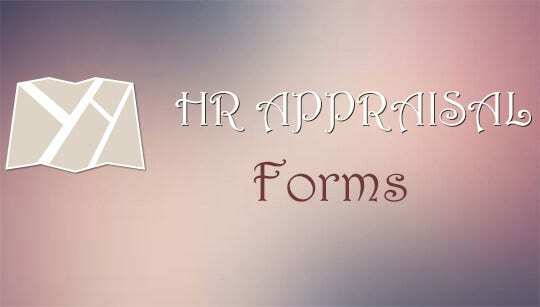 The data is important for other projects such as creating HR Payroll Forms. 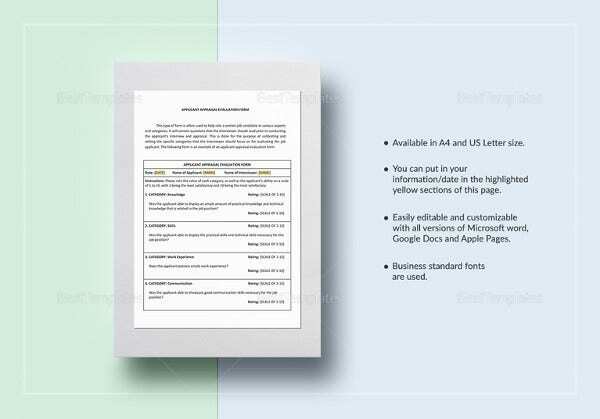 As the template is free for download and available as a sample for repeated use, the company can either make a large number of printouts or send out emails en masse with them as attachments, thereby saving on time and effort to focus elsewhere. 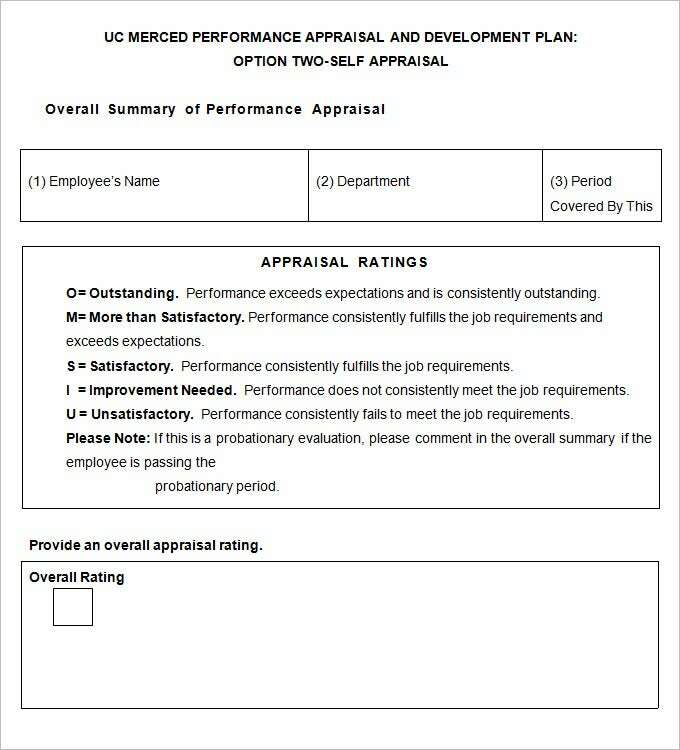 Creating performance appraisal documents for all your employees is a mammoth task for any HR manager but this template will make your burden lighter with its readymade performance appraisal format that covers pre-designed appraisal ratings. 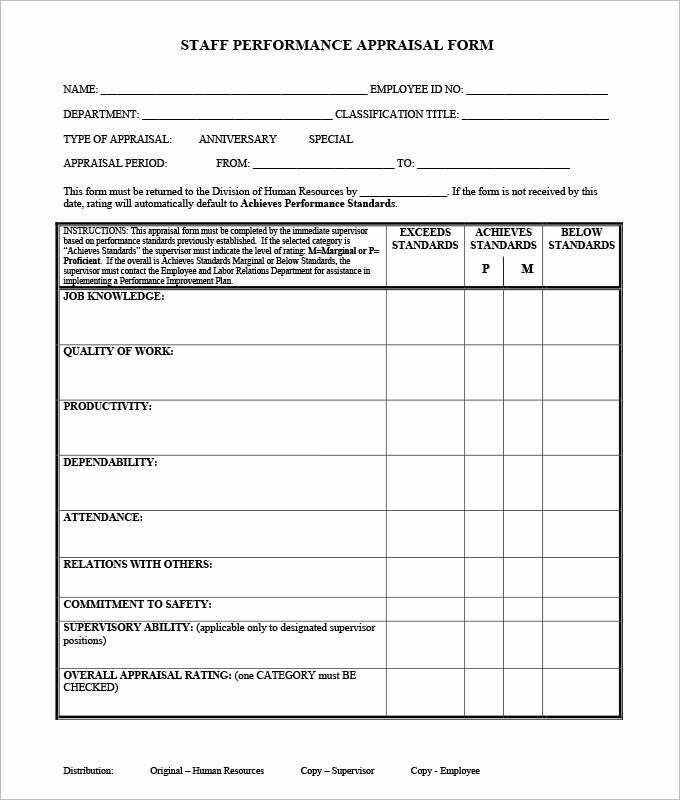 A more elaborate and often obvious method of obtaining data on how much an employee is working would lead to a sense of discomfiture among workers. 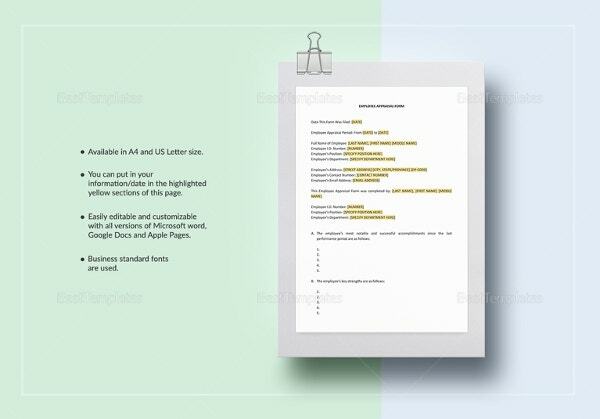 These templates can be used to create discreet forms that are then distributed among the workers to find out how much they contribute. 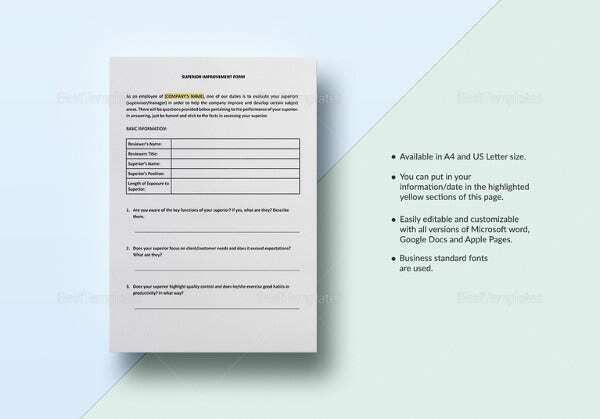 This is something they are more comfortable doing as filling up a form in the privacy of their personal time is not a very unpleasant prospect. 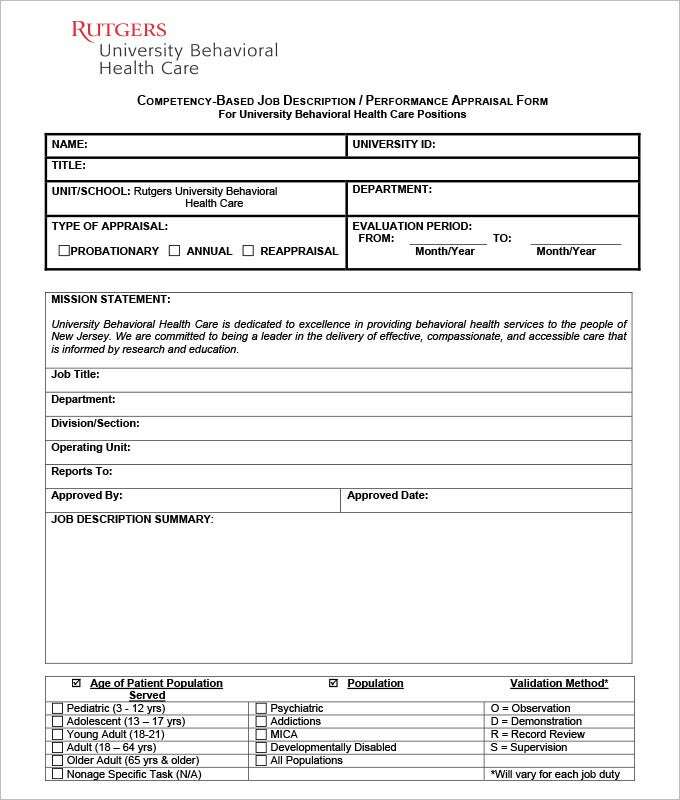 You may also see Free HR Evaluation Forms. 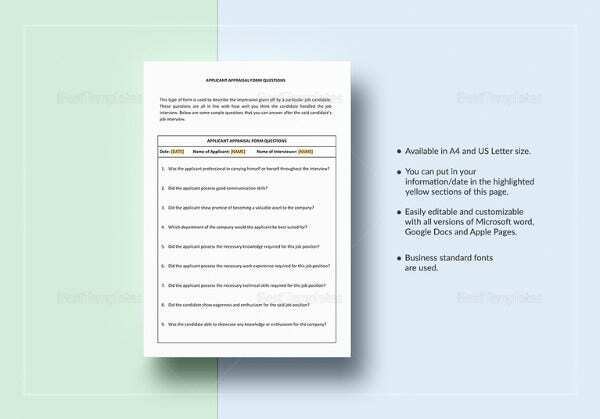 Change the font and general format of the forms to suit the department’s choice. 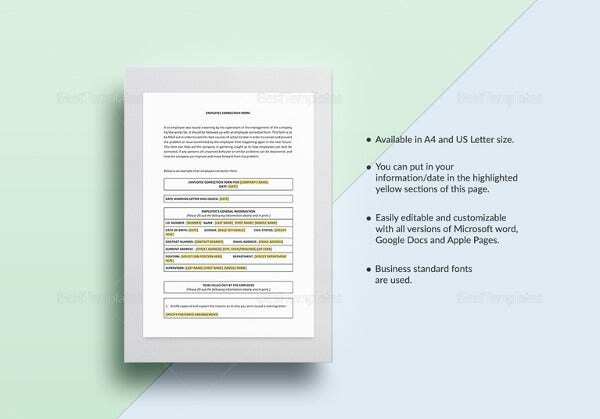 Use a variety of colors for different parts of the form to make the process of filling it up a little less of a visual chore. 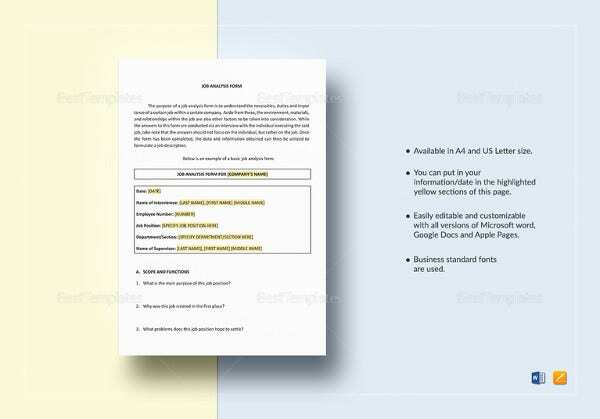 Change the wording as and where needed for a more customized, specific appraisal. 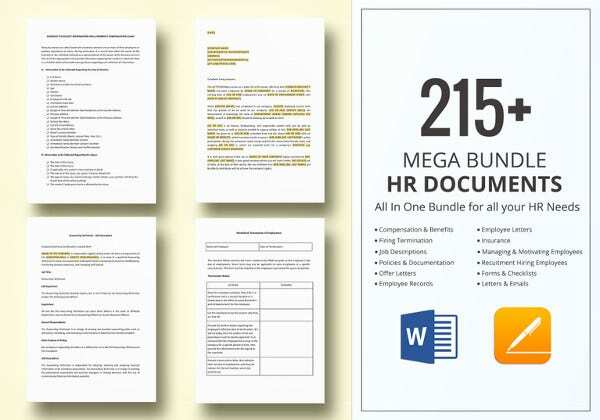 18+ Top HR Tools and Software Download Free!